Fun to sail & towable with family SUV. Racing hard with the crew or just enjoying a casual afternoon sail with friends, you'll always be in complete control in the J/22. Seven foot cockpit with inboard seats. 1,600 new J/22 friends worldwide. 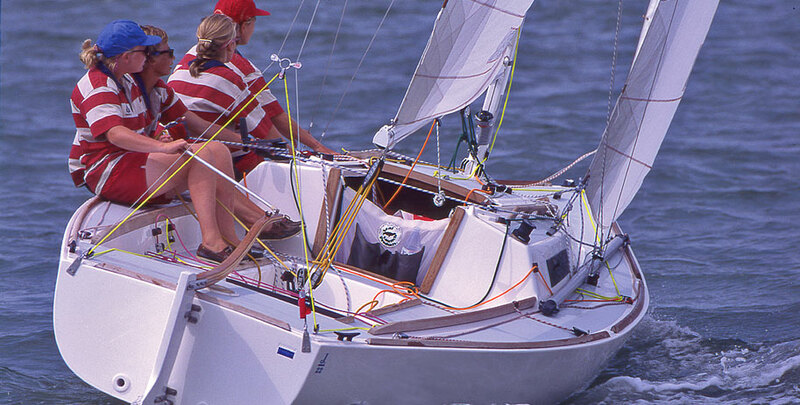 Active class association with complete regional, national and international schedules and championship regattas. Low maintenance, easy to rig. High-quality Harken blocks and winches to facilitate sail trim and adjustment. Deck stepped mast that makes it easier to raise the mast on the trailer or in the water. Towing the 1,800 lb J/22 with a six-cylinder sedan or SUV is child's play. The family ride can easily take her to the next regatta. 30 minutes from trailering to sailing. Main cabin with two comfortable seats port and starboard. Forepeak platform for casual rest or simple overnight accommodations.